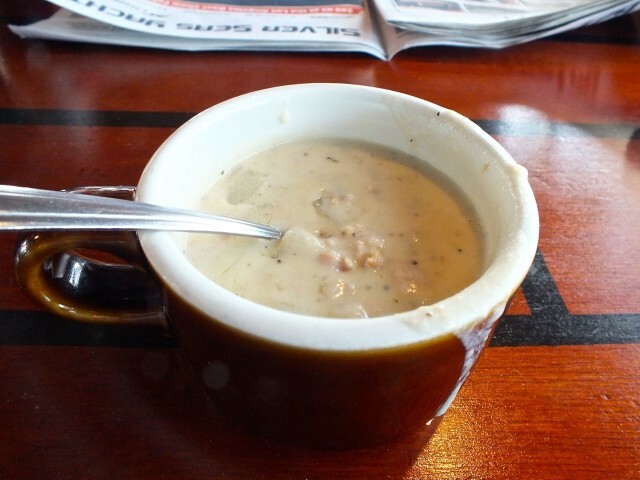 Clam chowder cup. Photo by Ed Simon for The Los Angeles Beat. View from Window at the Chowder Barge. Photo by Ed Simon for The Los Angeles Beat.